South Africa’s ruling party reportedly decided on Tuesday to remove President Jacob Zuma from his position. After a 13-hour party meeting, Deputy President Cyril Rampahosa told Zuma on Monday to resign or face being ordered out of his role. 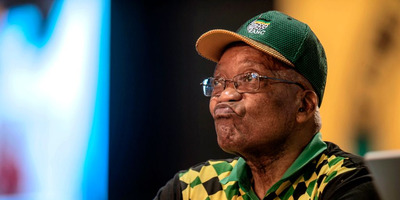 Zuma has been a controversial president since taking office in 2009 and has faced multiple corruption claims and eight no-confidence votes, all of which he has overcome. The ANC has been losing support and will face another election in 2019. The African National Congress (ANC), South Africa’s ruling party, has decided to remove President Jacob Zuma from his role, a source told Reuters. “We decided to recall Zuma. He hasn’t been told yet,” said the senior ANC source on Tuesday. The news comes a day after a marathon 13-hour meeting by the party’s top leadership on Monday which led to Zuma being given 48 hours to resign, according to Reuters. ANC has the authority to order Zuma to depart his role, but local media is reporting Zuma may refuse to do so. The party will reportedly hold a press conference at midday Tuesday, local time. Zuma is no longer head of the ANC, which has been led by the deputy president and expected successor Cyril Rampahosa since December. Rampahosa reportedly delivered the message to Zuma in person during the marathon meeting. According to The Guardian, the message to resign or face being ordered to leave his post by the ANC, was delivered around midnight. Zuma has faced years of corruption claims and overseen economic decline. He has previously survived eight parliamentary no-confidence votes since becoming president in 2009. The ANC has led South Africa since apartheid ended in 1994. The party lost ground in 2016 elections and the country heads to the polls again in 2019.